In a Snapchat and FOMO (fear of missing out) era, you can no longer assume that readers are consuming your content in its entirety. In fact, the average user spends 8 to 15 seconds on a piece of content. So how do you harness audiences’ ever-decreasing attention spans? By giving them an active role in their content consumption process by incorporating interactive storytelling tools into what you publish. Such tools are proven to increase engagement, on-site dwell time and social share rates. In this guide, we’ve gathered 45 innovative and versatile examples of interactive content in leading industries. Each industry poses its own obstacles and unique characteristics, but share one common denominator: interactive content works for all topics and audiences. Each example within is followed by actionable tips for content creators of all levels and budgets, teaching you how to incorporate these engaging experiences into your very own content marketing strategy. This guide should serve as motivation to dip your toe into interactive content creation while you draw inspiration from items that perhaps relate to your own business and needs. With such strong examples to reference, we have no doubt that this guide will help you take your interactive content strategy a few steps further, and boost your audience engagement successfully. An industry built on performances – whether TV, music, or the big screen – must create immersive content that takes consumers on a journey. And in a world where social media and the 24/7 news cycle bring audiences closer than ever to their favorite celebs, published content needs to use every tool in order to keep up. This is a great example of using multiple interactive elements to tell the story of a legend. In this innovative article, Salon was able to show the many talents and faces of Mary Tyler Moore by implementing text, video, moving images, and more. Even more, the outlet incorporated a poll to ask readers to pick their favorite Mary Tyler Moore performance of all time. How can you incorporate this into your content marketing? Why choose a single interactive element, when you can have them all? Decide on the message you wish to deliver and pair it with the perfect interactive storytelling tool. Award season is also viewing-party season, with audiences eager to share their opinion before and after the festive ceremonies take place. People used a Playbuzz-powered poll to create an online (and printable) ballot that enabled readers to predict Grammy winners. How can you incorporate this into your content marketing? Creating entertaining assets for readers to interact with online, or have the option to download and print, is a wonderful way of giving them a choice between an online or offline experience. Viewers love trivia about their favorite movies, and this is a visually appealing way to serve it to them. Breaking the movie down into specific scenes clarifies which parts are based on a true story, while color-coding gives readers a broader overview. How can you incorporate this into your content marketing? For a more holistic reading experience, allow readers to go back-and-forth between the small details and the big picture. 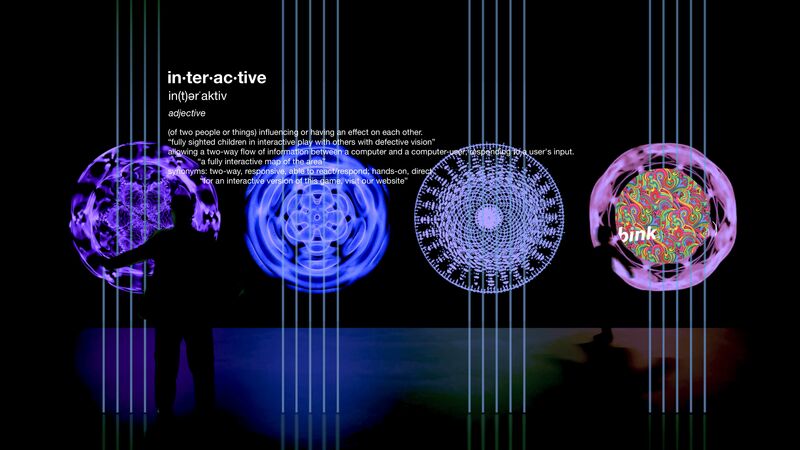 Cutting-edge interactive video technology turns an ordinary online interview into an engaging “choose your own adventure” for readers, inviting them to play the interviewer and feel as if they are communicating directly with stars. How can you incorporate this into your content marketing? Asking viewers to provide insights and questions in real-time is a great way to improve audience engagement, as well as the interview itself. Today’s social tools for live-streaming (such as Facebook Live or a Twitter chat) allow you to do so without having to rely on custom, paid technology. For music-focused content, embedding sound within the text itself makes perfect sense. In what looks like a typical editorial piece, The New York Times surprises readers with an in-text playlist to set the right mood. How can you incorporate this into your content marketing? Instead of describing sound to readers, it is always better to hit “play” and allow them to experience it firsthand. For an easier solution, simply embed YouTube videos between the lines. Here’s how to do that. For those who still believe that interactive storytelling tools are meant only for lighter topics, this industry proves otherwise. Few subjects are as serious and sensitive as business matters, and the following examples demonstrate how interactive content not only complements such topics, but also stands out in an environment that’s typically not considered engaging. This is a creative take on the online calculator, which includes a series of questions regarding readers’ cash flow, and an end result for them to follow up on. The text-based calculations are more detailed and user friendly, yet remain analytical in nature. How can you incorporate this into your content marketing? Play around with your mix of written content for blog posts and ebooks and instead think about investing in developing tools that your audience will love and use to help them solve problems or delight them by developing a fun tool that’s shareable. Adapting listicles to the age of video can be done by dividing a lengthy clip into Video Snaps. Each snap can be edited from a different video, and is assigned a customized title and color. Once viewed, readers can share the snap (or in this case, perhaps the side job) they enjoyed most on their social channels, or the entire article. How can you incorporate this into your content marketing? Instead of including full-length videos, cut to the chase (literally) and only include the parts that are truly instrumental to your message. Gone are the days of “skip to 1:32 to view this” video content. Tinder for investments? Yes, please! Swiper, a storytelling tool by Playbuzz, turns the intimidating issue of stock investments into an approachable, interactive flow. It allows the publisher to ask readers for a relatively high level of involvement by featuring a long series of short, interactive decisions. How can you incorporate this into your content marketing? Don’t be afraid to use modern techniques when dealing with more traditional industries. Embrace new storytelling tools and surprise readers with a unique take on a familiar subject. A slideshow that provides a countdown effect is impactful in building suspense. All of the companies rated on this list are arranged on a progress bar, which allows readers to easily keep track of their advancement. How can you incorporate this into your content marketing? Combine a set of tools by featuring images, numbering, and text. Allow readers to gradually work their way to the highlight of the article to keep them interested and on-site longer. Don’t forget to add a status bar like in the example above to let readers know how far along in the content they are so they can skip ahead if they want. This interactive infographic features a great number of ways to map investment types and demonstrate to clients how it aligns with their goals. Readers can view the content from different angles, which increases on-site dwell-time. How can you incorporate this into your content marketing? If you’re finding it difficult to determine which aspect of your content to display, include more than a single answer to the question and expose readers to the various facets of your offering. There are times when readers want answers, pure and simple. In order to give them just that, The Telegraph created an online form for audiences to fill in their details and immediately get the results of the business rates in their area. How can you incorporate this into your content marketing? Start by asking yourself what it is that readers expect to achieve in reading your content. If you can give clear answers to burning questions, your value to readers will become remarkably clear. Not sure how to give value to your readers? Start by understanding your core buyer personas. Diehard sports fans don’t just watch games – they live for them. That’s why interactive content pairs so well with the world of sports, enabling publishers to make their audiences feel like part of the game. To assist readers in ranking their favorite cricket shots, ESPN made sure to put each nominee in context, adding an image of the shot, in-depth text description and even a link to the full video. The publisher’s investment paid off, with over 50,000 shares of the item on social media. How can you incorporate this into your content marketing? Go the extra mile and provide 360-degree research and coverage, allowing readers to concentrate only on the positive interactions of ranking and sharing. This is a mobile-first, interactive content experience that allows readers to make a series of quick decisions in a Tinder-like fashion, by swiping images left and right. The item combines the sports arena with the fashion world, creating a surprising and engaging combination that speaks to a variety of audiences and allows readers to share their opinions. How can you incorporate this into your content marketing? Play around with interactive content about sports that lets readers easily swipe on the page and make fun, quick decisions to keep their attention and engagement about your sports content, as well as calling out the less-talks about angles of sports that provides a competitive edge against other sports content providers. The New York Times’s branded content studio created an aesthetically stunning campaign around a major moment in time, utilizing imagery and video footage to tell the story of Olympian superstars. The emphasis on visuals suits the content’s theme, with textual segments supporting the images and tying the narrative together. How can you incorporate this into your content marketing? Even without your own in-house design studio, you can embrace the visual-heavy approach and incorporate videos, GIFs and imagery into your content. To find the perfect image, visit free stock sites such as StockSnap and Gratisography, or freely access Getty Images when creating content on Playbuzz.com. This company aims to provide in-depth analysis to professional sports content, focusing on clickable charts and stats that update in real-time. We can expect a company that specializes in sports-related content to provide fans with specific information in an engaging packaging. How can you incorporate this into your content marketing? Adopt a data-focused mindset and let the numbers tell their story. Allowing the stats to update in real-time will keep your story relevant much longer, and you’ll be able to include far more information without exhausting readers. Sports fans have turned their hobby into a social activity via game night at a local pub and of course, fantasy leagues. Here’s an example for content that follows suit. By voting for their favorite players, readers actively share their predictions for the upcoming season and even express their views on athletes’ salaries. How can you incorporate this into your content marketing? There are a number of online tools that allow you to create your very own poll. Ask readers to step out of the comments section and share their opinion within the content itself. The tech-savvy audience has seen it all and has high standards as to what’s innovative and unique. It’s no wonder that the industry responsible for building brilliant interactive content tools is also one of the first to embrace them. Above all, this industry proves that even stellar technology needs to be coupled with the right narrative to make the biggest impact. This sports-inspired example relies less on specific tools and more on the creative approach to content, turning the software as a service (SaaS) arena into a competitive sports event where companies compete annually for readers’ votes. How can you incorporate this into your content marketing? Two brilliant ideas stem from this tactic: you can add a competitive element to your content, and create your own content tradition to serve your long-term strategy. This personalized web experience allows users to type in their website and receive a detailed analysis based on different criteria. By pointing out specific pain points and providing actionable tips, the content turns into a lead-generator, getting the conversation between HubSpot and potential users started. How can you incorporate this into your content marketing? Personalization is key for building relationships with your audience. Pointing our opportunities for improvement and growth in an interactive way increases the trust your readers have that your brand is an expert in this topic and industry, which is easily done through interactivity. Think: “Show, don’t tell. GumGum, a company specializing in image recognition, was able to demonstrate its technology by zooming into website images. This is a great way of putting your money where your mouth is – instead of simply claiming to do something, the company took action by providing an interactive pitch on their site. How can you incorporate this into your content marketing? Don’t just write about a product feature – show your audience in real-time. Doing so via content and using interactive tools that are less text-heavy delivers a strong message. This will keep visitors engaged and increase your chances of converting them. This is a simple and practical way of adding a personalized, analytical aspect to content. By incorporating an online calculator and asking visitors a series of questions, the creators allow numbers to take the lead and give an honest review of the money users could be saving. How can you incorporate this into your content marketing? Remember that sometimes the simple, straightforward approach works best in both delivering your message, and in asking prospective clients questions regarding their business characteristics and conduct. Lists are a classic tool for interactive storytelling that don’t require any specific action on the reader’s end (besides a simple scroll), but still manage to engage the audience effectively. This list of Samsung facts is a digestible take on content creation, perfect for today’s attention spans (or lack thereof). How can you incorporate this into your content marketing? Be sure to form articles that get right to the point and deliver the content in short, engaging segments. Announce the number of paragraphs in the title, to assure readers that the content within can be easily consumed. Delivering a large amount of information is a challenge for content creators. This example does so using searchable, visual stats. The facts are arranged in a number of ways, including a recorded timeline for readers to hit “play” and simply watch. How can you incorporate this into your content marketing? Search is an interactive action on its own, and can be easily incorporated into your content. Using search provides readers with a task to keep them engaged, while presenting a healthy amount of information in a positive manner. Adding search options very much depends on the content you create, but tools like FlippingBook and Viostream make even PDF and Video content searchable. Content creators have an important mission: to educate and influence readers. This is true for any content industry as it’s always important to keep readers informed, but it becomes that much more crucial when the topic itself is education and non-profits. Educating readers about their self-growth is an important and complicated mission that involves asking personal questions. Here we see an example for interactive content’s ability to overcome this challenge by surrounding such questions with engaging visuals. How can you incorporate this into your content marketing? Personalize your content by asking for readers’ names and using this information to form an automated online conversation, making it even easier to approach sensitive topics or ask for contact information. A personalized experience will make your audience feel as if they are interacting with humans and less like they are filling out yet another form. Polls are today’s survey tools, allowing readers to share their views easily, and learn how others feel about the same topics. For this article on colleges, polls served the young audiences perfectly, proving that surveys don’t have to be boring. How can you incorporate this into your content marketing? You can easily adopt this storytelling tool and incorporate into your own content, creating a poll-based piece and following up with an article that analyzes the final results. This interactive map presents data when hovering over specific states, and dives into the stats after clicking. This makes information that much more accessible, and gives readers the option to discover more, if they choose to do so. P.S. – Check out another cool example of interactive maps in example 44! How can you incorporate this into your content marketing? For presenting a geographic distribution of data, create a interactive map to help readers visualize the topic. Check out free tools like Mapme and MapMaker Interactive to create your own. Using icons and uplifting design elements makes complicated topics seem more digestible. How can you incorporate this into your content marketing? Making history come to life can be a hard task! Don’t shy away from numbers and important facts, but don’t skimp on the imagery and engagement either. Leave the canvas clear for creative imagery and video, while the text wraps the visuals but does not interfere. This interactive animation aims (and succeeds) at educating readers about a potentially intimidating experience in a friendly, gamified and comprehensible way. Viewers can choose a character to represent them in a mock courtroom and learn about various court-related situations. How can you incorporate this into your content marketing? Simplify complex topics for readers with a combination of gamification and snackable insights. Animate a relevant scenario and personalize the content by allowing the reader to customize their own “character”. Creating an interactive visualization of the years 1600-2000 is quite the challenge, but Matan Stauber discovered one way of approaching the task: by reducing each event to a tiny dot on a timeline that expands when hovered on. How can you incorporate this into your content marketing? Here’s another inspiring angle for covering mass amounts of information without scaring readers away. You too can focus on the big picture, and only provide information to readers who express interest in a certain part. Check out free timeline tools like Sutori and Tiki-Toki. Giving customers the option to customize their product deepens the connection between audiences and brands. Converse manages to do so by giving site visitors the chance to design their own shoes and create one-of-a-kind products. How can you incorporate this into your content marketing? For retailers who have the budgets and resources, this is a great model that showcases how personalized engagement can lead to a conversion. This product page turned the obstacle of multiple pricing offers into a strength by building an interactive pricing experience in which site visitors choose their location to obtain all the necessary details. How can you incorporate this into your content marketing? Many companies struggle to address multiple target audiences on their websites. Instead of compromising your business message, create an interactive journey for site visitors that ensures they get the right content while providing you with insights. This article demonstrates a deep understanding of the mindset of fashion magazines readers. By addressing the immediate need to own viewed items and looks, shoppable content provides an ingenious and innovative solution for converting readers into buyers. How can you incorporate this into your content marketing? If you lack the resources to create professionally shoppable content pieces, find an easier path to supply readers with all the information they might need to make a purchase. Emailing them about a new collection? Let them buy the looks you showcase in your communication, linking directly to a cart on your site that includes the items they liked. This clickable infographic enables readers to click on body parts to learn interesting details about the beauty rituals they involve, past and present. This is an interesting way of adding an educational layer to the topic of beauty products and regimens. How can you incorporate this into your content marketing? If you choose to create an interactive infographic, pay close attention to the shape of your interactive map and try to make it more appealing and relevant. Choosing a body-shaped map kept things in context for this article. You can use inforgraphic-creation tools, such as Visme and Piktochart. This article, which heavily relied on Flip Cards, allows readers to view an entire look, and then click to turn the image and zoom-in on the signature accessory. How can you incorporate this into your content marketing? Highlight certain parts of a look or image by creating a section of your content devoted to them to give readers more details about their background or availability. This Playbuzz-powered Convo item turns interactive content into a text-like dialogue, making readers feel as though they are going through someone’s personal text messages. Here’s an example of turning conversations with salespeople into relatable a retail-focused narrative. How can you incorporate this into your content marketing? Create content that matches your audience’s go-to communication channels. Design dialogues to resemble text messages or social media posts and keep readers intrigued. Design is present in many of the inspiring interactive examples we have placed in other categories, as great visuals form the base for published content on all subjects. Therefore, when it comes to pieces meant for design professionals, publishers and brands have to show extra creativity and attention to detail. At first glance, there doesn’t seem to be anything interactive on Imagery’s website. However, when visitors hover over certain icons, the image is replaced, encouraging them to continue investigating what the site – and the company – has to offer. How can you incorporate this into your content marketing? Sending your audience on a scavenger hunt is a smart way of increasing their interest, boosting your on-site dwell-time, and reminding audiences that you have more to offer than what first meets the eye. Don’t have a ton of resources to devote to your site? Check out the free and subscription plans Wix or Weebly offer. The company features a simple, responsive, and gamified design to engage readers. Computer-mouse movement attracts the dots that form different shapes on the company’s website, and provides a strangely fulfilling experience for visitors. How can you incorporate this into your content marketing? This is all the proof you need that less is more. No need to go overboard in order to showcase your creative side and skills. What better way to demonstrate interactive design skills than by crafting a brilliantly designed, interactive CV? Designer Robby Leonardi made some noise with his groundbreaking approach to job hunting, creating an animated “game” where his skills and experience are the main components. How can you incorporate this into your content marketing? If you happen to be looking for your next adventure, Leonardi should inspire you to be creative and daring. If not, notice the clever use of animation and the consistent narrative that ties images and text together. To add animation to your content, try these free tools: PowToon and Animaker. This image-based interactive quiz features a set of carefully selected images, and encourages users to find their true “kitchen personality.” It breaks the distance between Stewart’s show and the audience, while showing a more personal and approachable side of the publisher. How can you incorporate this into your content marketing? Never underestimate readers’ interest in content that is all about them. With a quiz, your audience can leave the content experience having learned something new about themselves, and then feel excited to share their results with friends to compare. Try to make the content you push out as relevant to the individual reader’s world as possible. This inspiring example features a variety of storytelling tools that allow the publisher to highlight images, video, bullet-points and quotes. The How To summary card gives clear instructions to readers and adds a more practical aspect. How can you incorporate this into your content marketing? Pay close attention to the color palette of your content’s visuals. In this Christmas-themed article, we see a lot of festive colors, keeping the article on-topic while making the content pop. Gatherings with friends, family and coworkers often take place over a meal. That’s why in this industry, we can expect to see examples that are just as delicious and drool-worthy online as they are offline. Items featured in this category should be entertaining, visually enticing and easily digestible. Whether or not your travel partner will make or break your trip is one question all backpackers ask themselves before embarking on a new adventure. Orbitz knew what was on their audiences’ minds, creating an online quiz that addresses this burning question specifically for business travelers. How can you incorporate this into your content marketing? Everyone loves interactive quizzes, but when creating one for your business, always think of what your audience would invest time in investigating. This is particularly true when you wish to exchange results for readers’ contact information. Want to create a quiz for your own site? Check out the Playbuzz quiz tool. Combining video with a visually-stimulating summary card that especially caters to recipes makes it easy for viewers to prepare the dish themselves without having to pause the clip and write anything down. How can you incorporate this into your content marketing? Remember that engagement should always focus on what readers would like to do, rather than what they have to do. Save your audience time and trouble wherever you can. Once again, this is an excellent example for easy-to-follow recipes. Using Video Snaps by Playbuzz, the publisher divided the video into different stages (snaps), saving viewers the trouble of pausing before each step, and making it super easy to follow and cook. How can you incorporate this into your content marketing? Answer the frequently asked question of “Where am I in the recipe?” by giving each snap a title, and when it comes to recipes in general, create a step-by-step guide to help usher your audience through. We normally don’t expect much from concert line-ups, but this example manages to surprise us. The creators provided concert-goers with essential information in a creative way and allowed them to choose different music genres, and learn which of the performing artists belong in each category by fading all irrelevant performers away. How can you incorporate this into your content marketing? This is a relatively easy trick that can go a long way with your audience. Take the extra step by hiding some of your content and highlighting only the important section for your audience. Seating maps are often unfriendly to users, and require a big imagination in order to envision your view from the seats you choose. Here we see how a single image, displaying the stage-view from each seat, can save users the time, trouble, and heartache of arriving to a show only to realize they’re in the nosebleed section. How can you incorporate this into your content marketing? If you include a seating chart on your site, you can recreate this content yourself. Simply upload an image taken from each seat, and don’t keep your audience guessing. Use tools such as iiCreator or SimpleTix to make your seating chart more informative. More than anything, the visual aspect of this piece of content stands out. Beautiful images grow and move as readers scroll down to consume the article, adding to their excitement. The investment on readers’ end is quite minimal, as the content itself is so mesmerizing. How can you incorporate this into your content marketing? People eat with their eyes, so make sure your visuals are on point when creating a food-related content piece. Another great lesson here is to help readers keep track of their reading by using a side progress bar. As you can see, interactivity adds a new dimension to your content, creating a unique and engaging experience for readers. To get started with your own take on interactive content, think about what’s most important to your audience and choose the tools that will allow you to address their needs. Whether you opt for something that simplifies your message, beautifies it, or gives it a certain edge, the above cases should provide you with more than enough inspiration. Ready to bring your new interactive content ideas to life?